Joyce L. Hambright, 86, of Lancaster, went home to be with the Lord on Saturday, October 6, 2018 after a courageous battle with pancreatic cancer. She is survived by her loving husband of nearly 65 years, Jim. Joyce was born in Sayre, PA on October 13, 1931. She was the daughter of Donald and Grace Lupton and grew up on a farm outside of Wilawana, PA. She earned a BA from Pennsylvania State College in May of 1953 and married her beloved Jim on December 26, 1953. Early in their marriage, Joyce and Jim spent a wonderful year and a half living in Bedford, England while Jim served in the Air Force. Joyce was employed as a private secretary prior to the births of her three children. Joyce researched family genealogy in great depth, excelled at word puzzles and games, and enjoyed many creative pursuits including painting, drawing, sewing, and ceramics. Her greatest passion was loving, encouraging, and caring for her family. She and Jim traveled extensively: first camping all over all over the United States with their children and later visiting many different countries with Joyce’s sisters. The annual trip to Rehoboth Beach with all of her children and grandchildren was always a highlight. Joyce was a member of the United Methodist Church. 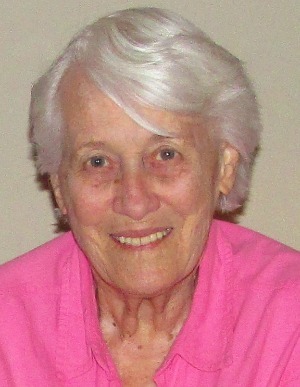 In addition to her husband, Joyce is survived by her children; Elizabeth Dewhirst Anderson (wife of Jay), of Middletown, DE, Tracy Killian (wife of Mark), of Lancaster, PA, and David Hambright (husband of Paola), of W. Lebanon, NH; grandchildren Andrew Dewhirst (husband of Mikalanne), Julie Killian, Benjamin Dewhirst, Jason Killian, Joshua Killian, and a granddaughter due in December; two great-grandchildren; and sisters; Donna Wolpert of Lansdale, PA, and Marilyn Klemperer of Blacksburg, VA. She was predeceased by her sister Carolyn of Fair Haven, NY. Family and friends are invited to gather at DeBord Snyder Funeral Home, 2024 Marietta Avenue, Lancaster, PA 17603 on Saturday, October 13, 2018 for a visitation from 11:00 AM until the funeral service beginning at 12:00 PM. Interment will follow at Conestoga Memorial Park. In lieu of flowers, contributions may be made in memory of Joyce to Care Ministries at Hempfield United Methodist Church, 3050 Marietta Avenue, Lancaster, PA 17601. Jim, we are so sorry for your loss, but Joyce will now be with our Lord so we should be joyful for that. God bless you!